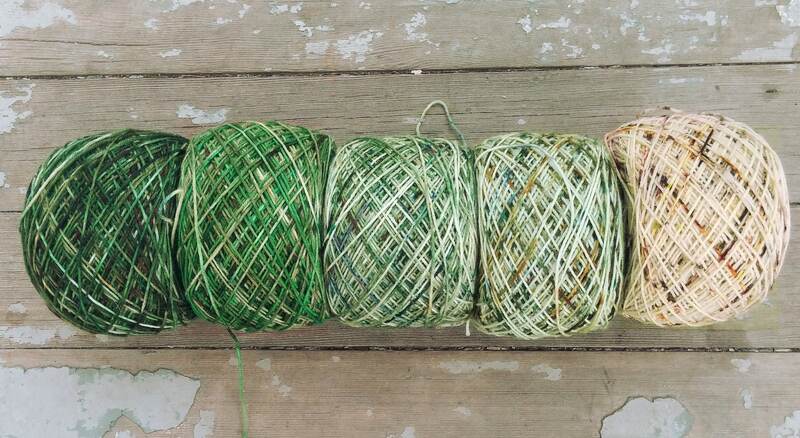 Gradient yarn set. 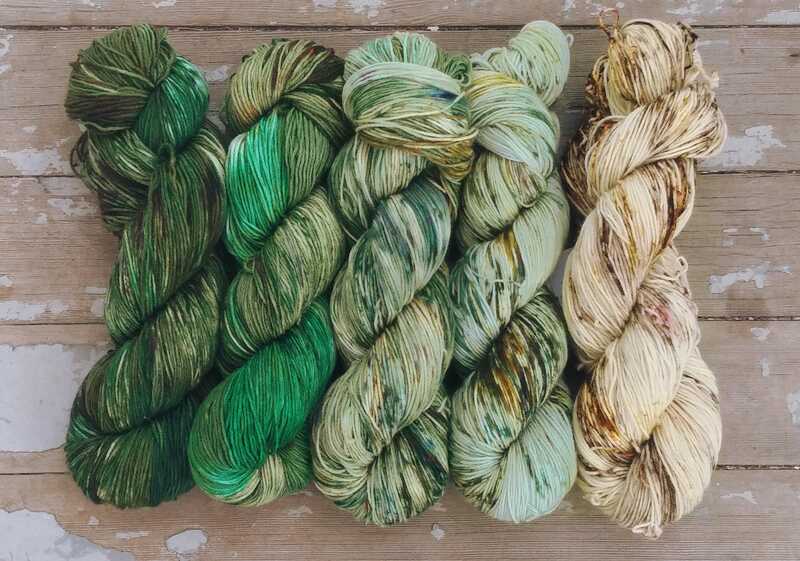 This set starts with a speckled straw yellow that transitions into a light moss with speckles, then a speckled sage, a medium green with a touch of emerald, and ends with a dark speckled green. In the swatch pictured in the 4th photo the colors are striped for a few rows between color changes to soften the transitions between them. Each skein is a full size of my Staple Sock base which is plenty of yardage for most projects but check your pattern to be sure. This listing is for 5 100g skeins of Staple Sock for a total of approximately 2,300 yards. Each yarn name and description is listed below in order from left to right. 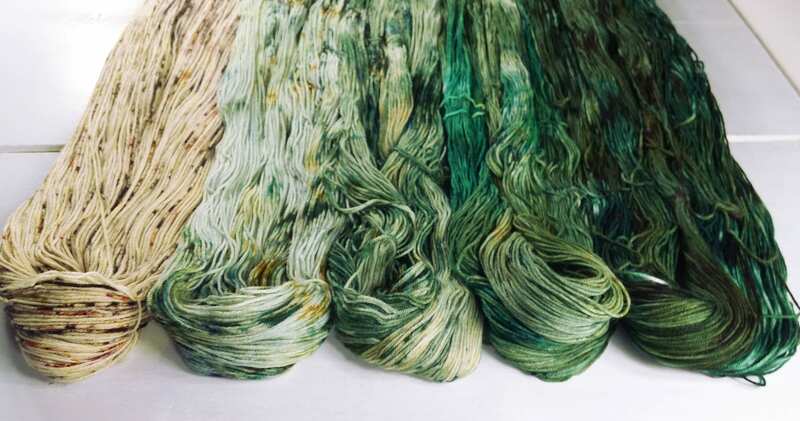 These yarns are repeatable colorways but due to the nature of hand dyed yarn may vary slightly from what is pictured. Looking for more than what is listed? Send me a convo! 1. Straw Into Gold - a semi solid straw yellow with random speckles of dark brown, orange, deep burgundy, and a few spots of a yellow green. 2. 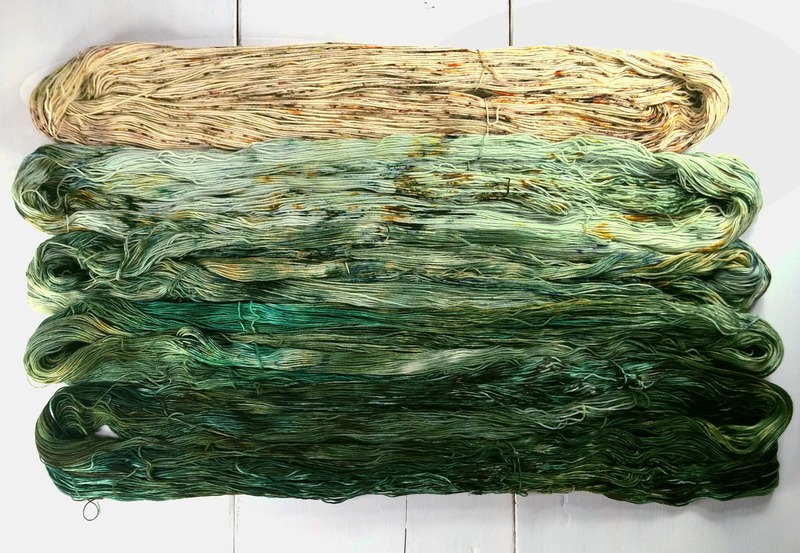 Lichen - a semi solid light sage green with random speckles of emerald green, blue, a reddish brown, mustard yellow, and a few specks of magenta. 3. 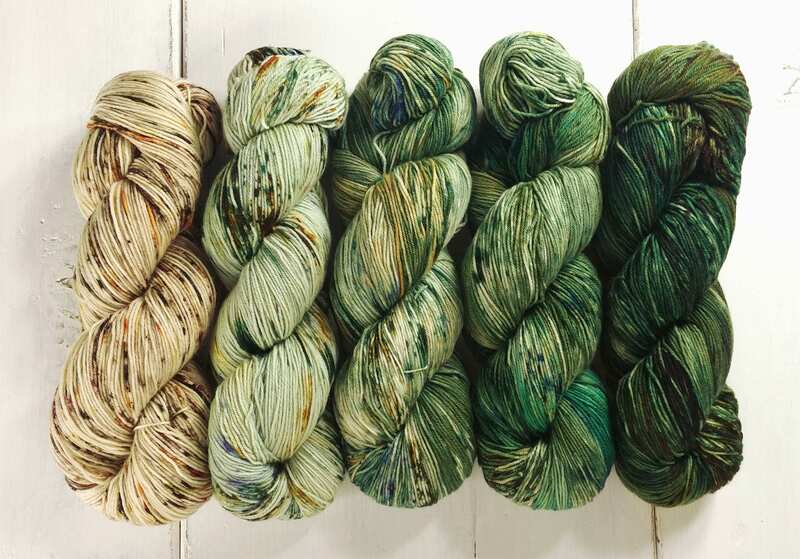 Spore - light to white and slightly darker sage green with some avocado, a touch of an orange yellow, a few speckles of dark brown which splits into some speckles of light and dark rusty orange, and a dash of blue and dark green speckles. 4. Polyjuice Potion - light to almost white and darker avocado green with areas of emerald, a touch of a yellow green with a few speckles of dark brown which splits into some speckles of light and dark rusty orange, and a few blue speckles. 5. 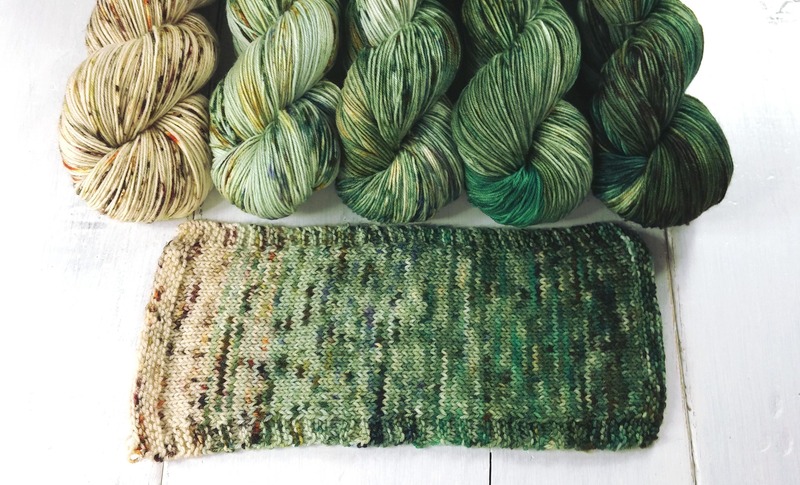 Gareth - a deep forest green with areas of avocado, a touch of yellow, and speckles of a dark brown which splits into some speckles of a light and dark rusty orange.